Done any swashbuckling lately? Want to try it in the sky? 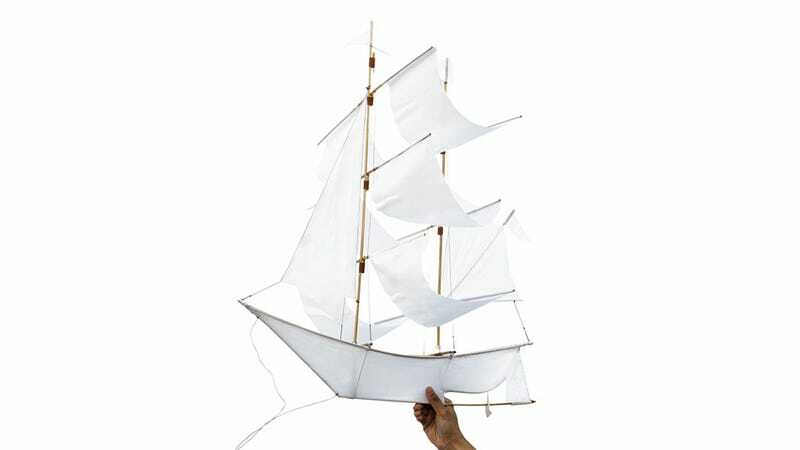 Look no further than this handmade sailing ship kite, which takes flight on sails made of nylon on a ship made of bamboo. It doesn't get much more elegant than a tall ship floating in the wind. At 26-inches by 28-inches, this kite is sizable enough to catch a breeze and soar up into the heavens. It's also compact enough to make for a pretty handsome addition to your office, when you're not outside piloting it on windy days.